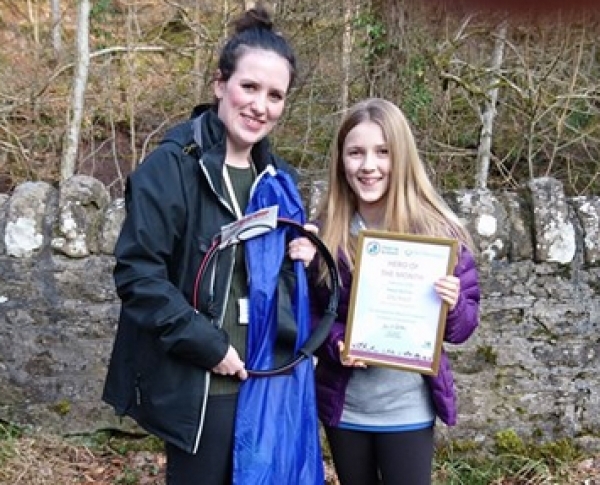 We've presented Ella Ritch, aged 12, from Dunblane with the February Clean Up Scotland ‘Hero of the Month’ award in recognition of her commitment to remove litter from countryside all across Scotland. Ella received the award in acknowledgement of her efforts to undertake a Litter Pick of Scotland. Ella has kept a blog about her many adventures which see her remove litter in her #2MinuteCleanUp bag. Be inspired by her blog.